When you trust in Christ, you receive Jesus and become part of His family (John 1:12). In addition, John 3:16says that you have been given eternal life: “For God so loved the world, that he gave his only Son, that whoever believes in him should not perish but have eternal life.” This life includes eternity with Christ in heaven and is available to you and to anyone who believes in Christ. Is there anything else you have to do to know Jesus? Ephesians 2:8–9 explains, “For by grace you have been saved through faith. And this is not your own doing; it is the gift of God, not a result of works, so that no one may boast.” Knowing Jesus is not based on what we do; knowing Jesus is based on faith in Him. Romans 5:8teaches, “God shows his love for us in that while we were still sinners, Christ died for us.” This great love brought Jesus from heaven to earth to live, die, and return to life to provide salvation for us. Accepting Jesus is just the beginning of an exciting new life-one designed by God Himself. This book is our gift to you. 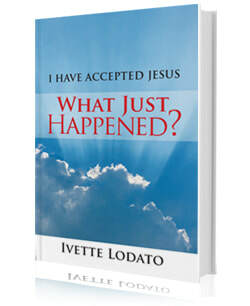 In it you'll find answers to new believers' most frequently asked questions about their new life in Jesus Christ.